While Scotland is best known for its whisky, it is also responsible for producing over 70% of the UK’s gin. Big brands such as Hendricks, Tanqueray and Gordon’s are well established, but the rise of passionate new distillers, creating exciting and complex blends, gave eight of Scotland's Best B&B Gin loving hosts the idea of getting together to learn more about the variety of Scottish craft gins available. This ‘spirited’ event was hosted by Lynne and Weyland at the Auld Post Office, Thurso in the most northerly part of Scotland. 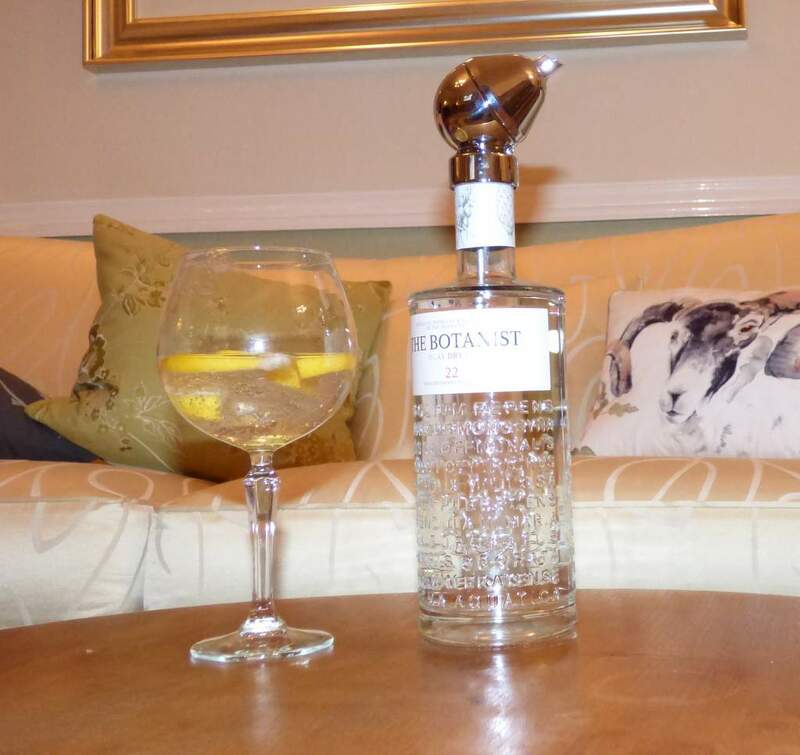 Famous for it's stunning scenery and wonderful wildlife, it made the perfect location for a weekend of gin tasting. 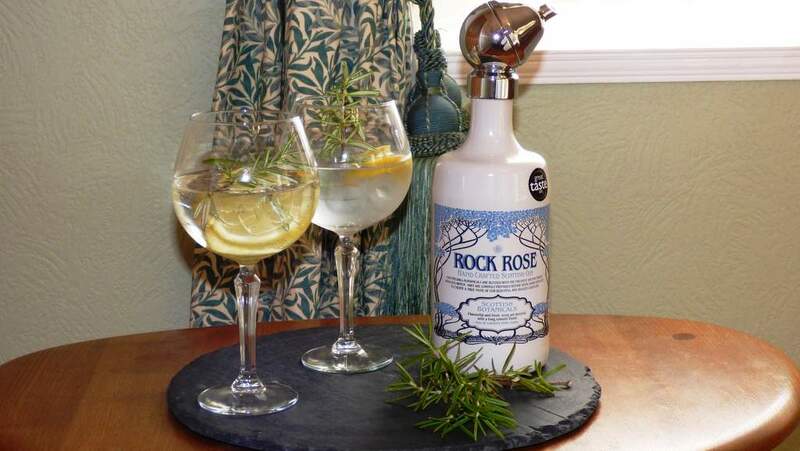 The weekend started with a visit to the Dunnet Bay Distillery where Rock Rose Gin is made. Our group were greeted by Martin who shared how he and Claire experimented with over 55 recipes before choosing a selection of 5 local and 13 traditional botanicals together with traditional Italian and Bulgarian junipers that are blended together to create the unique taste of Rock Rose. 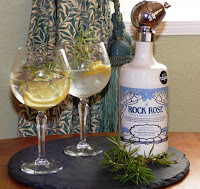 While the exact recipe of Rock Rose gin is a secret known only to Martin and Claire, he was happy to share details of the provenance of the botanicals used, their garden projects and how they work with local botanists and forestry to ensure sustainability. 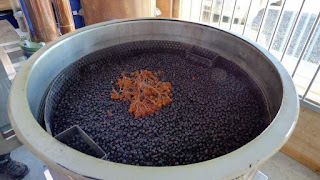 The distillation process was explained, highlighting how the selected and prepared botanicals are placed into a basket and their traditional copper pot still, named Elizabeth, passes vapours over it, enabling the botanicals to infuse the spirit with unique flavours. 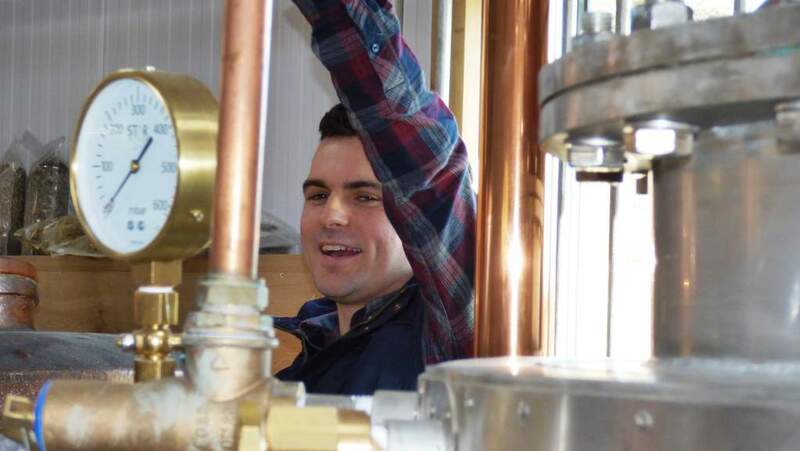 Made in small batches of 500 litres, the passion and enthusiasm of the small Dunnet Distillery team can be seen in every step of the production of the gin, including the way each bottle is hand filled, hand waxed, batch numbered and hand-signed before leaving the distillery. 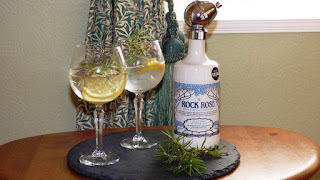 A wee tipple of Rock Rose gin put the finishing touch to this engaging and enjoyable tour and got our intrepid group in the mood to explore more about the variety of craft gins available in Scotland. 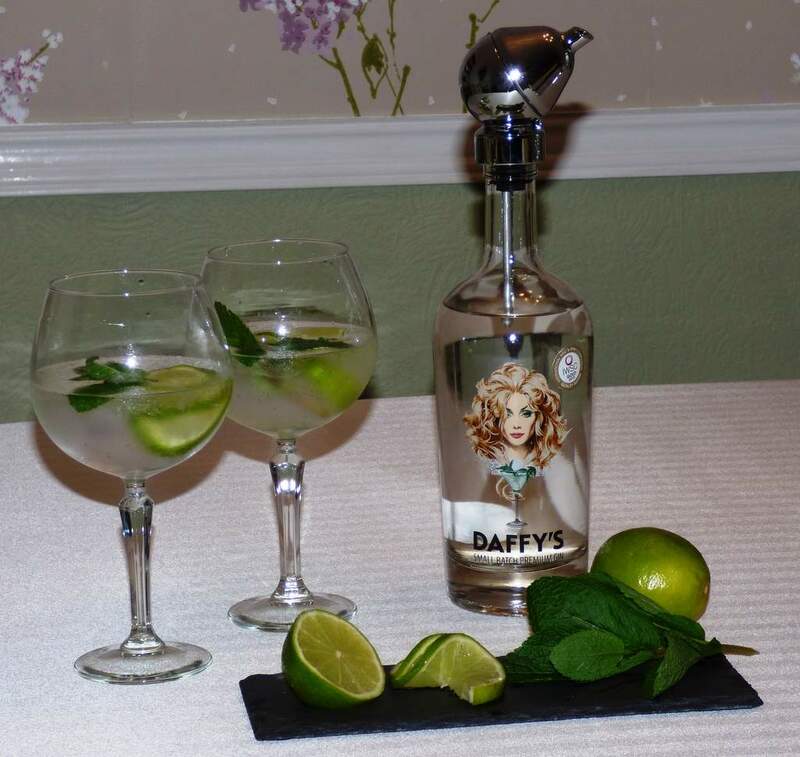 Daffy's Gin. Named after the Goddess of Gin, this Edinburgh made gin mixes classic ingredients with newer botanicals like Lebanese mint and rare lemons. 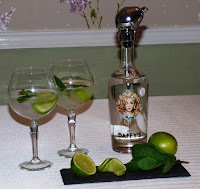 Serving suggestions: Neat or with a good tonic, double wedge of lime and a sprig of mint. Conclusion: A nice manage of flavours, smooth yet vibrant, leaving a warm and elegant finish. The Botanist. Distilled at the Bruichladdich distillery on Islay, this is the BIG one, with 31 botanicals, 22 sourced locally. 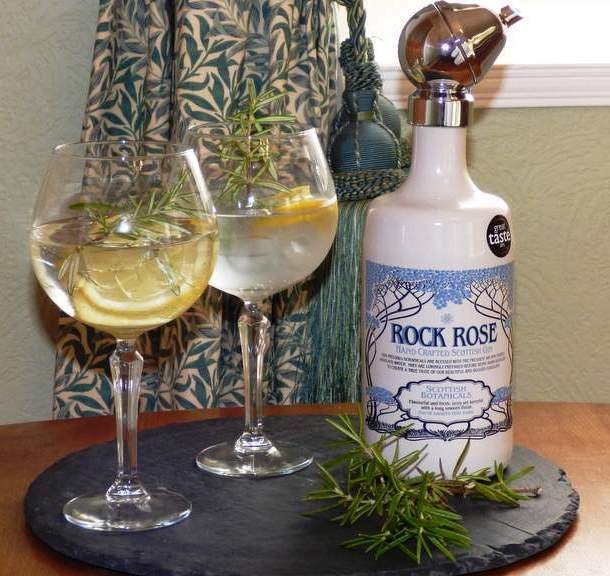 Serving suggestion: Enjoyed with a double twist of lemon, layered into the rocks with a good tonic. Conclusion: Intense and snappy, full bodied like a glass of red wine. Kirsty's Gin (Gluten free). 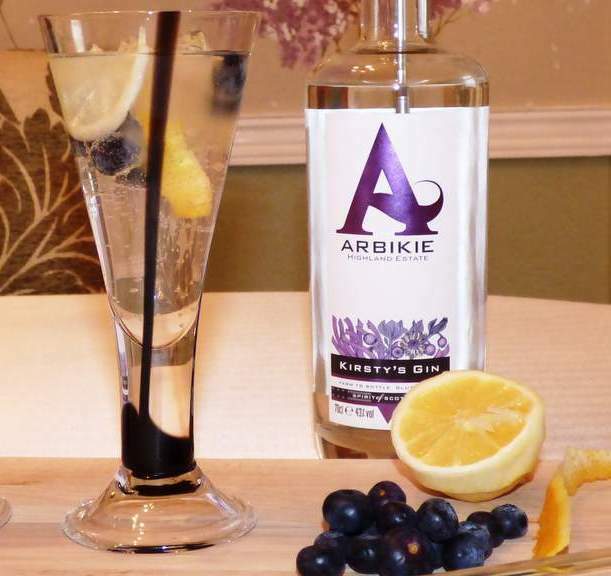 This gin, from the Arbikie 2000-acre farm, is made by adding kelp, carline thistle and blueberries to the farm's own spirit made from three varieties of potato grown there. Conclusion:Creamy and smooth, with an individual taste. 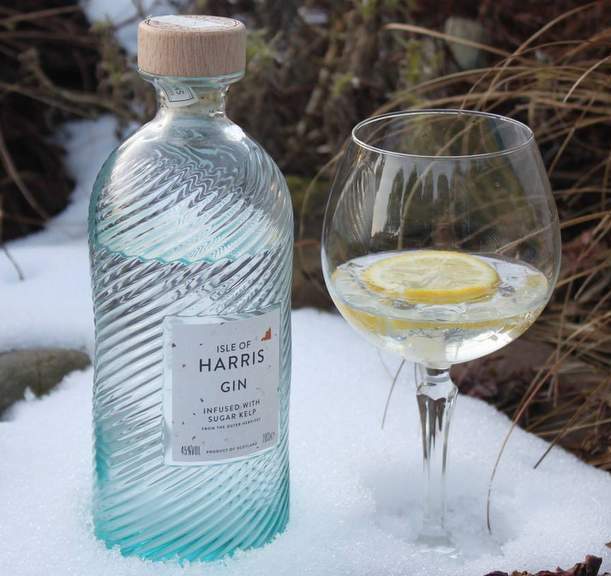 Harris Gin. Created on the Isle of Harris using sugar kelp, hand harvested from the deep underwater forests of the Outer Hebrides. Serving suggestion: With a slice of pink grapefruit and a twist of lemon and lime. Conclusion:A salty ocean tang with a long finish and flavours of lovage. Glen Wyvis. Made in Dingwall, the key botanical used in this gin is ‘skiach’, Gaelic for hawthorn. Serving suggestion: With orange peel or a full slice of lemon and star anise. Conclusion:Neat: Heady, with an after taste of strong juniper. 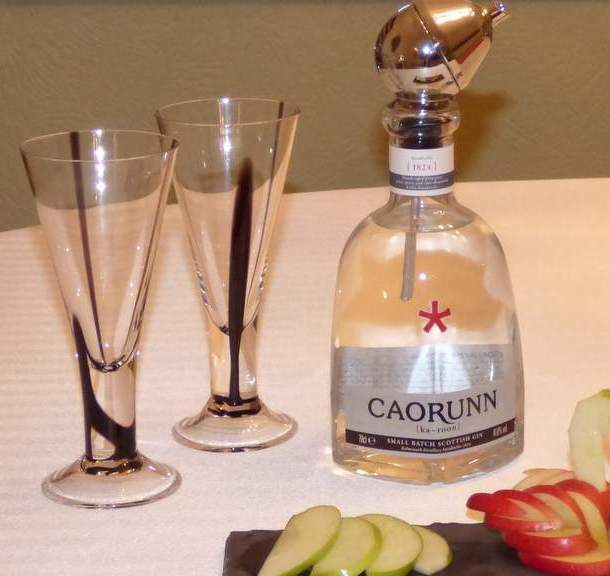 With tonic: Quite pleasantly sweet, a good surprise. Rock Rose. 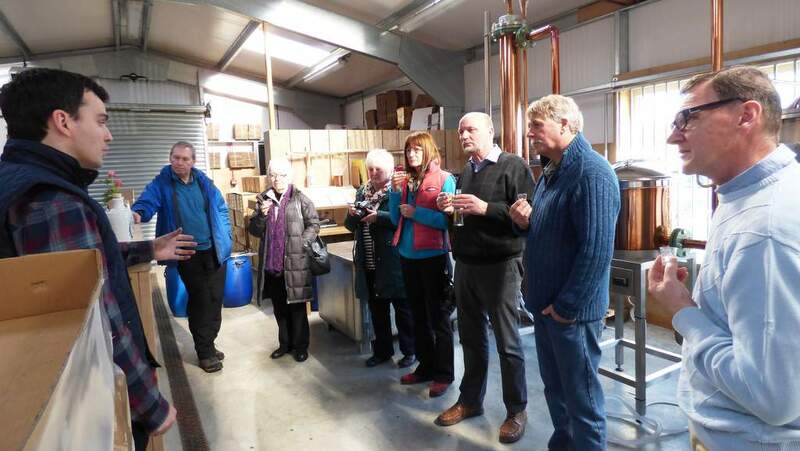 The gin with two perfect serves personally recommended during the distillery visit by Martin and Claire Murray. 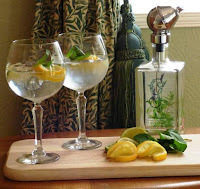 Serving suggestions: Martin: Flaming the tips of rosemary leaves and add a twist of lemon. Claire: Add the zesty peel of orange. Conclusion:Adding rosemary, gives a pleasant balanced nose with hints of lemony citrus. Adding orange peel gives a sherbet lollypop taste. Strathearn Heather Rose. This gin, from Scotland’s newest and probably the smallest commercial distillery based in Perthshire, turns a pretty pink when tonic is added! Conclusion:Light and feminine with a lovely sweetness. Gordon Castle. A glass filled with Highland herbs from the walled garden. 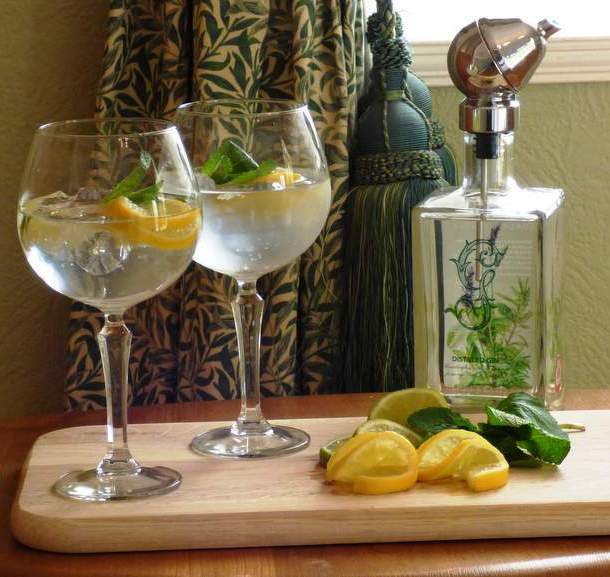 Serving suggestion: Garnish with a twist of lemon, lime and mint. Conclusion:Aromatic with a lovely clean finish. Stirling Gin. Developed in Stirling using hand-picked Stirlingshire nettles. Conclusion: Citrus, herbaceous and spicy with a warm and creamy finish. 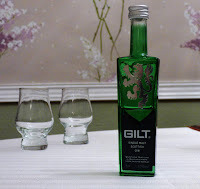 Gilt Gin. This is a single malt, five times distilled, is produced at Strathleven Distillery close to the shores of Loch Lomond. Serving suggestion: With 2 dashes of bitters, 1 sugar cube and 1 tsp of water – the perfect Old fashioned! Caorunn. 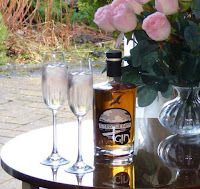 Created by the Balmenach distillery on Speyside, this gin is a true ‘Aromatic Adventure'. Conclusion: Crisp and invigorating with a refreshing, slightly dry finish. Eden Mill Love. This stunning pink gin is distilled in St Andrews. Serving suggestion: With a slice of pink grapefruit, peel and raspberries. Conclusion:Fruit and floral with a mellow citrus hue. 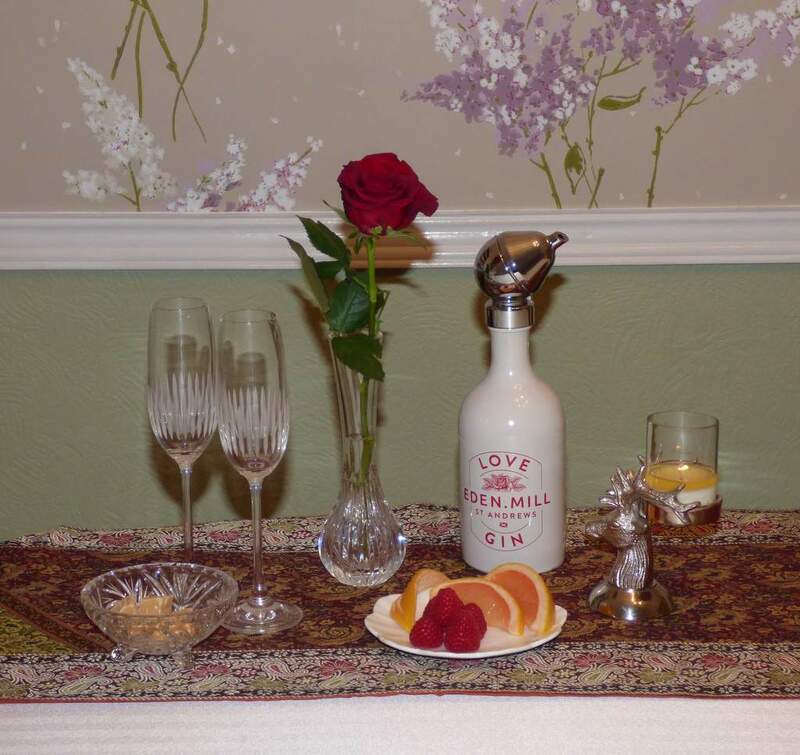 We hope sharing our favourite Scottish gins has given you a flavour of what is available and will encourage you to book a visit to one of the small craft distilleries located near to your Scottish Best B&B! 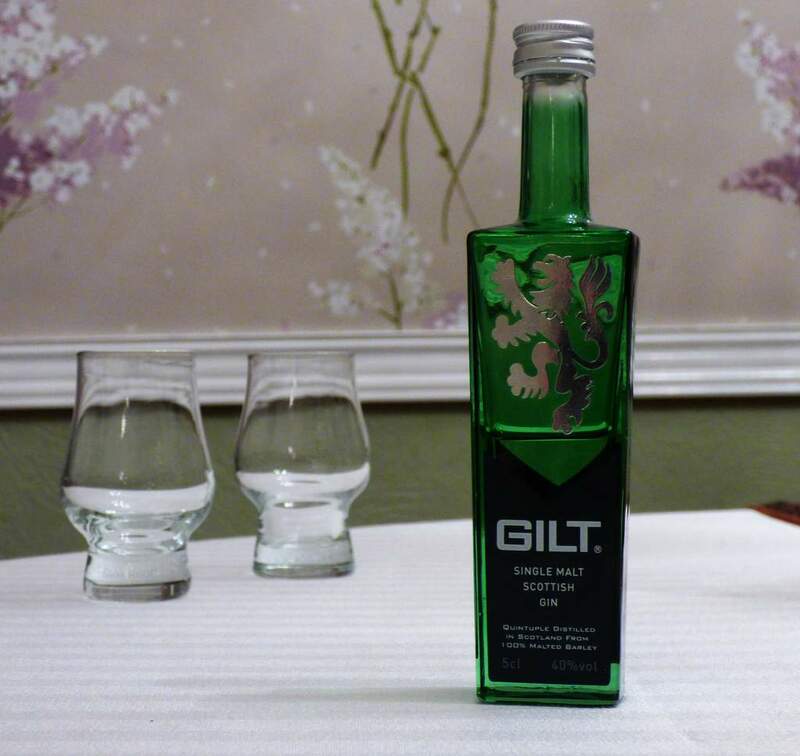 Sláinte ! Thank you to all our B&B owners who participated so enthusiastically in researching and writing this Blog.